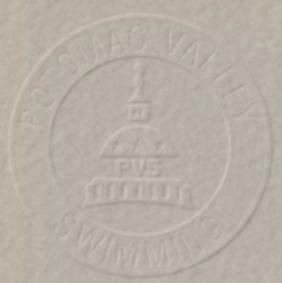 Eligibility: Open to invited Potomac Valley Swimming teams. Teams desiring invitations should contact the Meet Director at makoswimming@aol.com. However, please note that while we want as many PVS teams to participate in this meet as possible, space is very limited. Swimmers shall compete at the age attained on Saturday, March 29, 2008. All individual events will be governed by “No Faster Than” (NFT) time standards. These NFT time standards are equivalent to the individual event qualification time standards maintained at the PVS Junior Olympic Championships (February 28- March 2, 2008), and the PVS Senior Championships (March 6-9, 2008). A swimmer can only enter individual events in which his/her official USA Swimming time is not faster than the posted NFT time standard. No time standards apply to 8&under swimmers, and they may enter any 8&under event. Swimmers may only participate in their own age group events. Swimmers may enter a maximum of 6 individual events during the entire meet and no more than 3 individual events per day. Entries will be accepted on a first-come, first-serve basis beginning Monday, February 25, 2008. Once each session’s intended duration is met, entries will no longer be accepted. Dive-over starts will be used at both11 & Over sessions. Coaches are requested to review Guidance for Dive-Over Starts for Coaches. Officials are requested to review Protocol for Dive-Over Starts. Awards: Medals will be awarded for 1st through 8th place for individual events. Supervision: NO FOOD OF ANY KIND IS ALLOWED ON THE POOL DECK. Coaches are responsible for the conduct of their swimmers and families, as well as maintaining clean team areas. Only athletes, USA Swimming certified coaches, and deck officials are permitted on the pool deck. Coaches & deck officials are required to display their valid 2008 USA Swimming credentials. Parents not working the meet as a deck official, timer, or other meet position are not permitted on deck. Admission: There is no admission charge. Meet programs will be made available for a nominal charge. Officials: All certified officials wishing to volunteer to work this meet should contact Tony Fitz (703- 437-7378); E-mail: tfitz@cox.net. Please include your club affiliation, certifications held, and sessions you wish to work. Seating: Due to the limited pool deck space, only officials, USA swimming registered coaches and swimmers will be permitted on the pool deck. No chairs are allowed on deck. Parking: Parking Lot “C” is the designated lot for all swim teams. GMU parking services will ticket all vehicles parked in other non-designated lots. Penalties: Any club or individual that enters an unregistered athlete, falsifies an entry in any way, or permits an unregistered swimmer to represent them, will be fined by PVS the sum of $100.00 and no further entries will be accepted from that club until the said fine has been paid. Send e-mail to Heather Coulson (makoswimming@aol.com). The entry deadline is 5:00 PM, TUESDAY, MARCH 11, 2008. Entry Times: Only short course times are applicable in determining NFT qualification. Checks: Each participating team is requested to remit one check to cover the entry fee for the entire team. Please make checks payable to “HLR, LLC”. Please do not send cash.